Day 3 of the Olympics here in Rio and there are no words to describe my experience to date. I’ve landed in Brazil nearly a week ago. 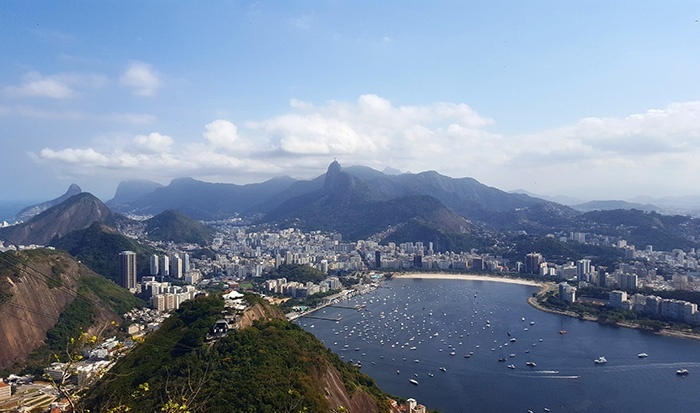 After setting up and settling in, I’ve had the opportunity to take a few hours off to explore the beautiful city of Rio de Janeiro; from Christ the Redeemer to the famous Copacabana and Ipanema beaches to the iconic steps of Lapa. It was obviously quite crowded with tourists from all over the world, proudly showing the colours of their country. Although there has been a few bomb threats, safety incidents and damaging wind gusts, it feels quite safe where I am based in Barra, a neighbourhood in the West of Rio. The opening ceremonies were definitely a highlight for all of us (and for the rest of the world!). A few hours prior, we could sense the excitement in the air. To watch it here in Rio with a whole team cheering on for their country was an amazing experience. Australia then kicked off the Games with a strong start, and was leading the medal table last night, accumulating gold medal after gold medal. These wins have created a very motivating and positive vibe for the remaining athletes that are still to compete. 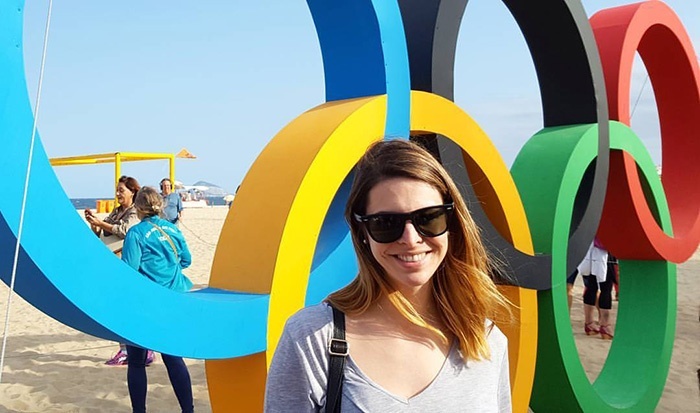 The sentiment about these 2016 Summer Olympics has been very negative so far with the political controversies, Zika fears and pollution issues. But now that the nations are competing, the sentiment is more positive as the world focus on the performances rather than the multiple problems Brazil is facing. The Edge where I am based is a second home for the Australian athletes. As their families and friends are not allowed in the Athletes Village, the Australian Olympic Committee has managed to set up this amazing oasis where the team can focus, relax and train. With a lounge, golf driving range, basketball court and swimming pool, it gives everything they could need to put all the gold medal chances on their side. The team here at the Edge is incredible, from psychologists and coordinators to volunteers. Everyone’s putting in hard work and long hours to make sure our Aussie athletes have the best possible environment. Even the famous Aussie coffee has been considered, with two baristas flown in straight from the land down under. 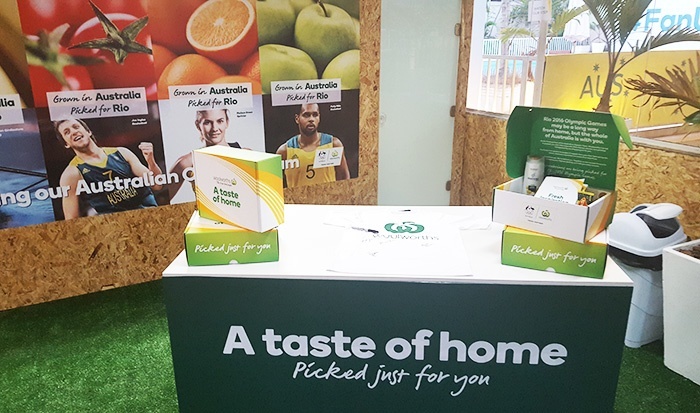 The response to the Woolworths Taste of Home campaign packages has been so positive, with athletes trading the products amongst themselves and asking for more. Vegemite and Cadbury chocolate are by far the most coveted items! Meeting the athletes and talking to them before they're about to compete has definitely been the highlight of my trip so far. They cherish the rare moments with their friends and family and try to enjoy some down time before performing in the most important moment of their life. Seeing them interacting when the cameras are off and crowds are away is very special. I feel so privileged to be part of this journey that has only just begun.